It is very important to NEVER return to play (physical education class, sports, practice, or game) while still experiencing symptoms of a concussion. The same sentiment can be spoken for cognitive activities (school work, video games, text messaging, etc). Management of concussive injuries should not only focus on the physical demands but also the cognitive/mental exertion placed on the recovering brain. Incorporating both cognitive and physical rest into the concussion management protocol is vital to proper recovery. Remember, the presence and/or recurrence of post-concussion symptoms are a sure sign that you have NOT fully recovered from this injury. While most athletes can return to play (physical activity) in about 7-10 days, some may take longer for their symptoms to subside and may have a more prolonged absence from sports. This may be especially true in the young athlete. Once all symptoms subside and the scores on any additional objective clinical tests improve, your child may begin a return-to-play progression, supervised by a healthcare professional. This progression often takes place over a period of 4-6 days and allows the athlete to gradually return to physical activity, and eventually sport. It is recommended that the child be cleared by a physician before they start this process. The return to play (RTP) protocol is a medically supervised stepwise process which involves a gradual increase in activity intensity and duration over the course of several (4-6) days. At each stage of the return to play protocol, specific objectives and restrictions are implemented to make sure a gradual progression is followed by the athlete and also allows for monitoring of signs and symptoms. In some cases, your healthcare professional may also want to repeat objective concussion assessments following exertion. The athlete is allowed to continue to the next level/stage if he/she is asymptomatic after the completion of the current stage. This cognitive rest may also require scholastic modifications varying on a continuum from not attending school while symptomatic to attending school with academic accommodations (e.g. longer time to complete tests or assignments, rest periods). It would be wise to inform teacher(s), administrator(s), and the school nurse about your child’s head injury and symptoms. 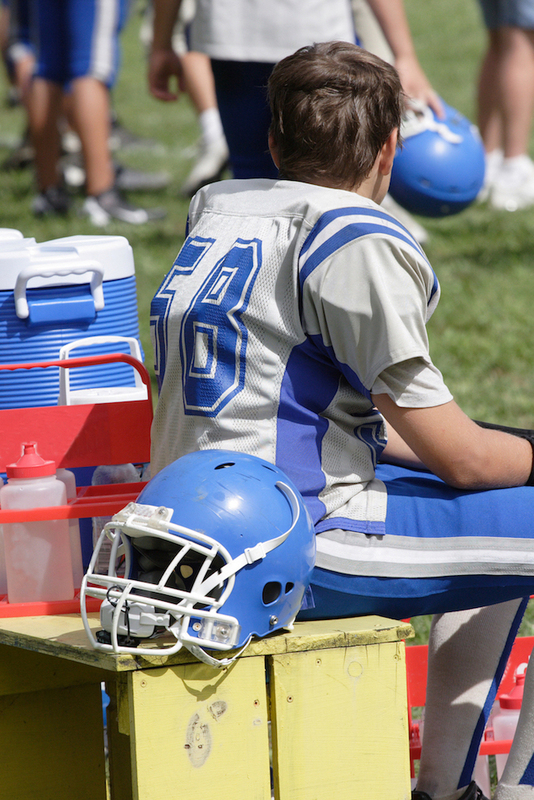 The School Version of the ACE Care Plan (CDC, 2015) provides prefect examples of how to accommodate adjustments for student’s recuperating from a concussive injury. There are informal and formal types of adjustments which should be prescribed by a physician (Valovich McLeod, 2015). Arbogast (2016) is a great reference article for cognitive rest recommendations following a concussion. While physical and cognitive rest have been the cornerstone of concussion management, there is some evidence to suggest that active treatment approaches may be beneficial. Your medical provider may discuss sleep hygiene, proper nutrition, stress reduction, and active modes of treatment that may be incorporated into the management plan. Active treatments may include supervised exercise progressions, vestibular therapy, oculomotor rehabilitation, or cognitive rehabilitation. Your medical provider will determine whether treatments may be needed and should direct you to appropriate referral sources. Arbogast KB, Curry AE, Pfeiffer MR, et al. Point of Health Care Entry for Youth With Concussion Within a Large Pediatric Care Network. JAMA Pediatrics. 2016;170(7):e160294. McCrory P, Meeuwisse W, Johnston K, Dvorak J, Aubry M, Molloy M, Cantu R. Concensus Statement on Concussion in Sport: the 3rd Internation Conference on Concussion in Sport held in Zurich. Br J Sports Med. 2009;43:i76-i84. Centers for Disease Control and Prevention. Heads Up. https://www.cdc.gov/headsup/ Accessed 3/6/2017. Valovich McLeod TC, Houston MN, Welch CE. A pediatric perspective on sport-related concussion. Kinesiology Reviews. 2015;4:131-155.